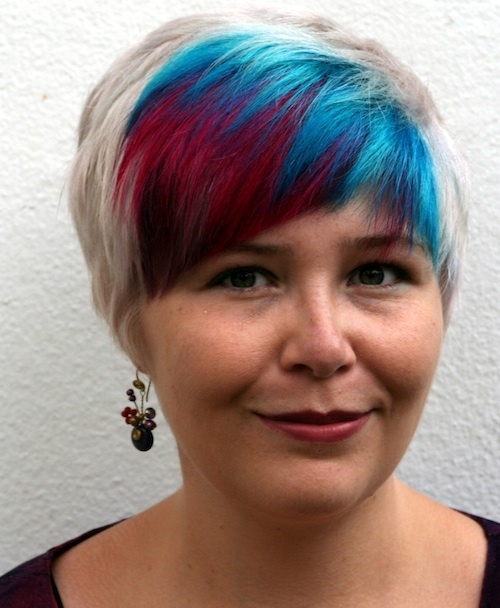 Emma Trevayne is the author of Coda, out now from Running Press Teens, Chorus, out Spring 2014 from Running Press Teens, and Flights & Chimes & Mysterious Times, coming Summer 2014 from S&S Books for Young Readers. She collects music, loves cake, and tweets far too often @EMentior. Her books are on Goodreads, she blogs occasionally, and reluctantly uses Facebook. Don't take "write what you know" literally. The situations your characters face experience should only be limited by your imagination. It's the emotions caused by those situations you have to keep real and true and authentic, and if you do that, readers will connect with your story. Yikes, just one favorite? This changes often, depending on my mood. Right now, it's Madeline Miller's The Song of Achilles, which I read last year, because it is beautiful and heartbreaking. If I were ever going to attempt something literary for adults, I would only hope I could come close to writing something that good. Where did you get the idea for Coda? While watching movies because I had the flu and couldn't summon the energy to move. A song at the beginning of the movie Hackers made me start thinking about music and mood. Did you hit any snags while writing Coda? What were they and how did you fix them? Actually, not so much with Coda; the writing process for it was fairly smooth, all things considered. At a couple of points I got the order of events wrong, but I can mostly sense when I do that and know to back up and change things. If I need to work through a plot problem like that, the shower is my favorite place to think. Walks are good, too. Which one of the characters in Coda is your favorite and why? I should probably say that it's Anthem, the main character, except that it's not. Deep down, it's really his best friend, Scope, for his heart and his humor and zest for life even in very bleak circumstances. His mistakes are as big as his optimism and that's definitely a thing he gets from me. I can tell you that when I got the idea for Coda, I was writing something else. 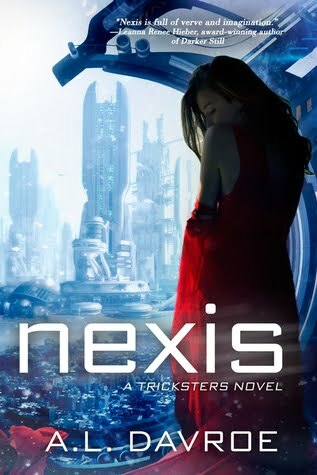 It took me about a month to give in to this idea that took over my brain, because I was so sure I shouldn't drop a manuscript on which I'd made so much progress for this crazy sci-fi thing. Also, what I had been working on was Middle Grade, and I was sure, before Coda, that I didn't have the skills or interest to write YA. Now the skills are developing, and the interest is definitely there--I'd like to write more YA. After I surrendered to Anthem and his friends, I finished the manuscript, edited it, and queried, getting an agent about six months after I started the book, which is fast, I know. Submission and sale were a little slower because of a tough market, but my agent was determined and she found me the best possible editor for the book. At this very moment, I'm actually not working on anything! I've just handed in Chorus, which is a sort-of sequel to Coda. In January, my first completed Middle Grade (once called Gearwing but now titled Flights and Chimes and Mysterious Times) sold to Simon & Schuster Books for Young Readers, and that's with its editor, too. I need to decide what to work on next, but I think I know what it will be, and it's not like any of the others. 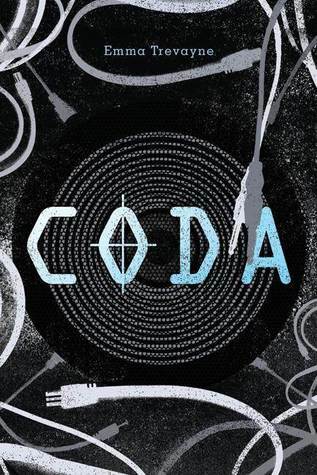 Coda is written entirely around the concept of music. Can you tell us a little bit about why you chose music? I didn't! Choose, that is. The story chose me, but I'm a huge fan of music in general and listen to it all the time, so I'm sure that's why the idea, when it popped into my head, was so appealing. If you could play just one instrument, what would it be? Likewise, if you could sound like any vocalist, who would you should like? The first answer is an electric violin. Electric stringed instruments are awesome. As for the second, hmmm. My favorite vocalists are almost all male, and I don't really want to sound like a guy. Probably someone like Neko Case, or Laura Burhenn of The Mynabirds, who both have very rich, strong voices. Ohhh, chocolate. I think the best in the whole world (or at least my fave) would have to be the Vosges Organic Peanut Butter ones. Because...chocolate and peanut butter, obviously. Emma is giving a signed copy of CODA away to one lucky winner. Coda: Ever since he was a young boy, music has coursed through the veins of eighteen-year-old Anthem—the Corp has certainly seen to that. By encoding music with addictive and mind-altering elements, the Corp holds control over all citizens, particularly conduits like Anthem, whose life energy feeds the main power in the Grid. Anthem finds hope and comfort in the twin siblings he cares for, even as he watches the life drain slowly and painfully from his father. Escape is found in his underground rock band, where music sounds free, clear, and unencoded deep in an abandoned basement. But when a band member dies suspiciously from a tracking overdose, Anthem knows that his time has suddenly become limited. Revolution all but sings in the air, and Anthem cannot help but answer the call with the chords of choice and free will. But will the girl he loves help or hinder him? Thanks for featuring this. I'd heard about it a little bit, but not much, but now I'm definitely going to check it out.